Lee Timutimu is the CEO and founder of Arataki Systems Limited. He is incredibly passionate about Māori storytelling and the importance it holds for our future generations in terms of the transfer of knowledge, the continuation of our narratives, and the retention and maintenance of our culture. Founded in 2016, Arataki Cultural Trails innovates and disrupts the art of cultural storytelling. 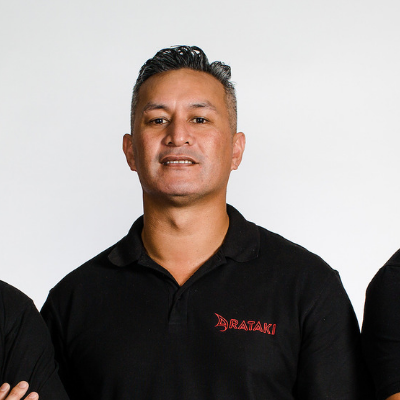 Arataki Systems Limited is a tech company based in Tauranga and is wholly owned and run by Māori tech entrepreneurs. In the Emerging Digital Technology (EDT) space there are a range of tools that can be utilised to promote kai, wai and korikori tinana. Location based apps using GPS and bluetooth provide another opportunity to share our purakau and can encourage whānau into the taiao. In his kōrero, Lee will use examples of storytelling from Arataki demonstrating how Iwi and other roopu are using the apps.